Work in environments from alpine tundra to desert basins. Use traditional methods of work using state-of-the-art equipment. Work with an array of wildlife from grizzly bears to sharp-tailed grouse, nongame species from boreal toads to lynx. 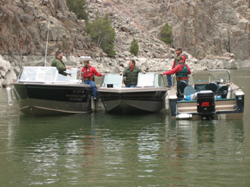 Diverse job duties from classifying mule deer to checking boaters. Greatest natural resource in the lower 48 states. 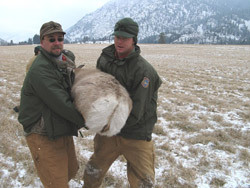 The Wyoming game warden job is unique in that it incorporates wildlife management with law enforcement. 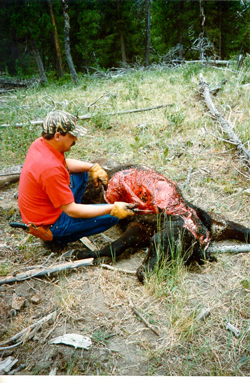 Primary responsibilities include wildlife management data collection and analysis, enforcement of game and fish laws and regulations, evaluation of damage done to crops and livestock by wildlife, and acting as the local liaison between the Department and the public. 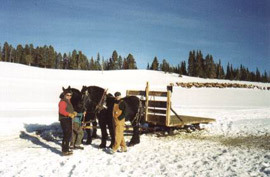 A substantial amount of training and all equipment is provided. 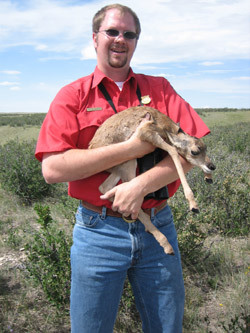 Game Warden positions require a bachelor’s degree in a wildlife-related field. 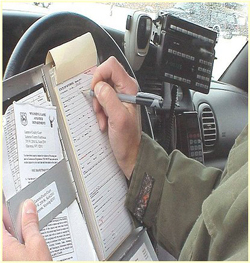 Recruitment criteria require candidates for the enforcement positions to have passed the most recent game warden examination, which is offered annually. Visit the listed website for details. 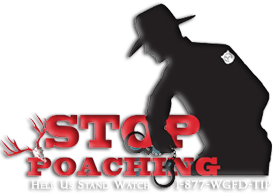 Opening positions could be limited to starting as a Game Warden until a Senior Game Warden position is vacant. 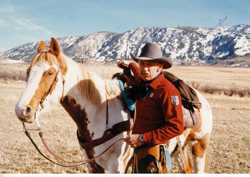 These positions maintain and enhance hunter and fisher access by negotiating agreements with landowners who control large expanses of Wyoming’s open spaces. 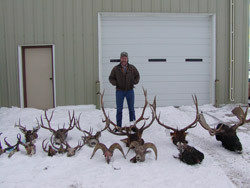 This includes Hunter Management Areas and Walk-In Areas for hunting and fishing. Five coordinators share statewide responsibility. 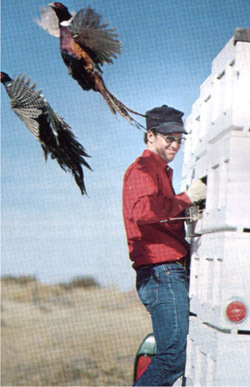 A percentage of their duties also include wildlife law enforcement activities. Management/Research : Positions are responsible for preparing management and research plans for trophy game and coordination of grizzly bear, wolf and mountain lion programs. 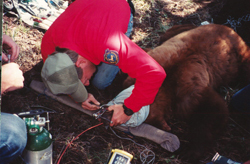 Conflict Resolution : These enforcement officers investigate and manage conflicts between grizzly bears and humans, coordinate with federal and state agencies, traps and relocates problem bears and investigates damage claims. 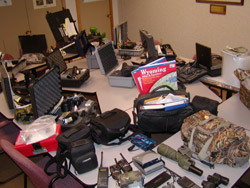 There are six Wildlife Investigators in the state. 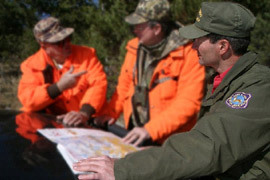 These personnel conduct special long-term, time-consuming enforcement investigations, more complicated cases than which result in the issuance of a citation in the field, and assist with regional enforcement during busy times when hunting seasons are ongoing. These non-enforcement positions plan and conduct surveys and projects in wildlife biology, game management, and animal ecology. They analyze results of studies and surveys, write reports, prepare hunting season recommendations, comment on impacts of development on wildlife including recommended mitigation, and communicate with a diverse public. Biologist positions require a bachelor’s degree in a wildlife-related field and recruitment criteria require candidates to have passed the most recent biologist examination, which is offered annually. These non-enforcement positions are responsible for the terrestrial habitat program within each wildlife region. 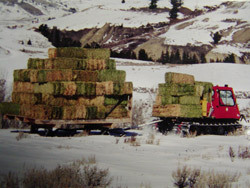 They review habitat projects and perform habitat work on Department, federal and private lands in the state. These biologist positions work with nongame birds and mammals, coordinating breeding bird and colony bird surveys, and supervise survey work on lynx, black-footed ferrets and other rare mammals. These individuals assist in running the Department’s Downar and Sheridan bird farms, maintaining the units, implementing habitat work and raise, deliver and release pheasants during peak periods. 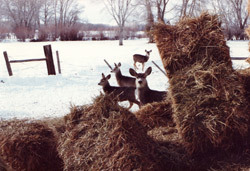 These are the people who actually feed the elk at the 23 Department feed-grounds. This is a contract and temporary position. 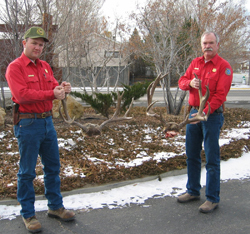 These are contract and temporary positions that assist game wardens and wildlife technicians with wildlife damage prevention and delivery of damage materials such as fencing during peak seasons of wildlife damage. 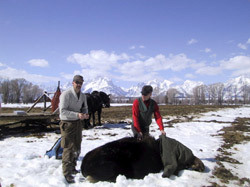 These are contract and temporary positions whose duties vary depending on the program which could include urban wildlife conflict resolution, assisting with various biological activities, assisting with waterfowl data collection, conduct studies of bears, trapping, tagging and following bears with radio-telemetry equipment and relocating problem bears, and habitat project development.